There are three essential components to achieve the perfect autumnal alfresco experience; Light, warmth and food. We’ve come up with some neat ideas to get your outdoors glowing toasty. We’ve also collected some smart meal ideas for the Autumn and Winter months here. 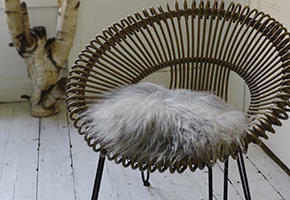 Our organic Icelandic sheepskins add extra warmth and cosiness (and style) to seats and benches. The unusually long hairs have resulted from centuries of adaptation in harsh Icelandic climates. The varying natural colours give it a wonderfully wild appearance to go with its excellent quality. Alternatively try a throw. Fire-pits and braziers are the perfect way to entice your guests outdoors, especially as the cold nights draw in. Whether you’re cooking, toasting or simply just after some warmth and coziness, while the night away around burning embers crackling firewood for the ultimate autumnal alfresco experience. When the glow from the fire isn’t enough, light up the darkness with some flickering candles or perhaps some string or battery lights. 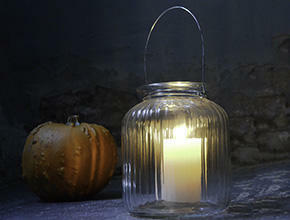 Create some atmosphere and coax your guests outside even on the coldest and darkest of nights. Oh and don't forget some music.